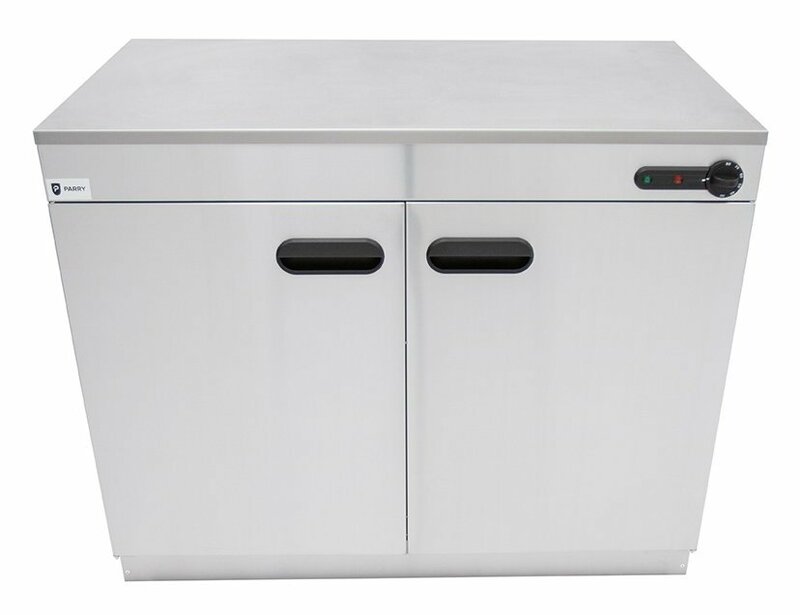 High grade stainless steel. Galvanised back. Designed to heat plates/dishes. Thermostatic control, up to 80C. Includes 2 chrome wire shelves. High grade stainless steel. Galvanised back. Designed to heat plates/dishes. Thermostatic control, up to 80C. Includes 4 chrome wire shelves. 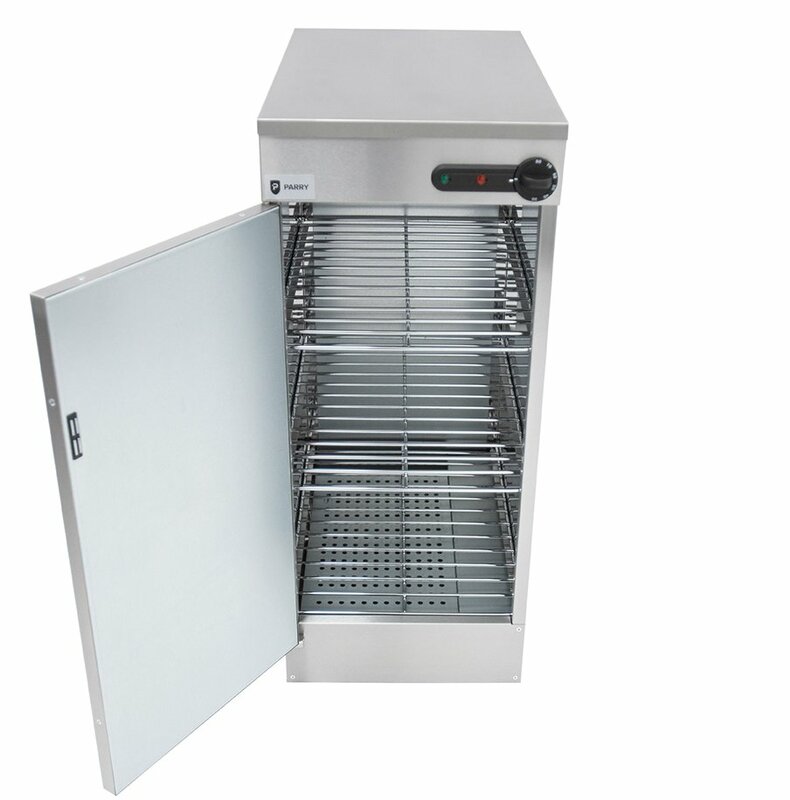 Parry 1868 Electric Plate Warmer. High grade stainless steel. Galvanised back. Designed to heat plates/dishes. Thermostatic control, up to 80C. Includes 3 chrome wire shelves. Parry 1869 Electric Plate Warmer. 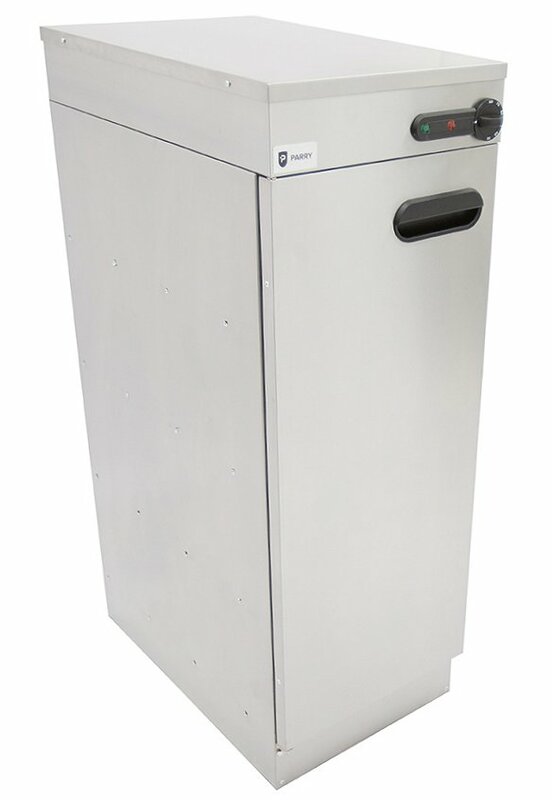 Parry Plate Warmers are an excellent solution for keeping plates at a constant, ready to serve temperature, keeping customers meals hotter for longer. The warmers are adjustable with a peak temperature of approx. 80°C. 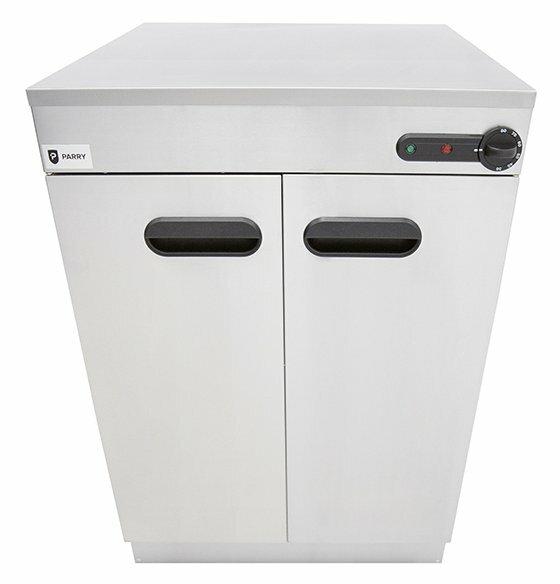 Made with quality stainless steel and a number of removable chrome internal shelves, Parry plate warmers are presentable and easy to clean. 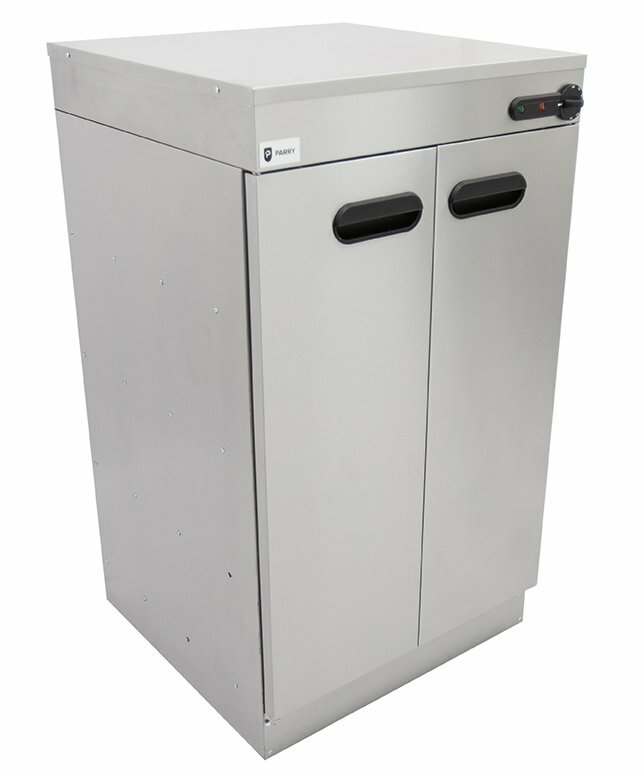 The smaller free standing units can hold up to 180 plates while larger double door units can hold approximately 240 plates.